What First Aid Items can go on Airline Flights? What Is Banned on Airline Flights? First aid kits on airline flights are adequate to respond to most in-flight emergencies. 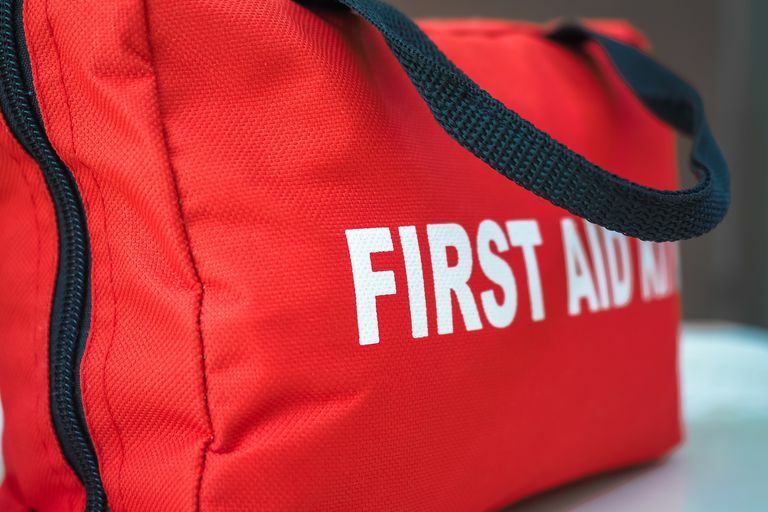 However, if you want to take a travel first aid kit with you to your destination, you may want to keep it in checked baggage or you must remove banned first aid items from your kit. Here is a list of approved first aid items that travelers can carry on airline flights. None of these liquids or gels can be in a container larger than 3 fl oz (100 ml) and all liquids and gels must fit into a single quart-sized resealable baggie. Diabetic supplies including syringes, lancets, glucometers, pumps, etc. Airport security will have to make decisions every day regarding medical supplies. If you have an essential need such as wound care items on a long flight, for example, speak to security about it. Safety on airline flights is important for all of us, but security officers will try to be reasonable regarding passengers' medical needs.